There's a reason why so many travelers are loyal to specific brand name hotel chains: they deliver a trustworthy, familiar experience, no matter what city they book a room in. A Hilton in New York City is a Hilton in Dubai is a Hilton in Sydney. In exchange, big-name brands reward consumer loyalty in the form of points and VIP amenities. As we look ahead this year and dive into the needs and desires of a value-driven, tech savvy, millennial traveler, there's a new accommodation trend to keep an eye on: the lifestyle hotel. Millennials will still pursue sharing economy options provided by Airbnb and VRBO for leisure travel. However, when they travel for business, they are looking to reap the benefits of being brand-loyal while also demanding that independent, boutique feel that Airbnb and VRBO deliver. As a result, big-name brands are developing smaller properties targeting specific niche Millenial travelers. In addition, there is an emergence of new, independent lifestyle hotel brands. Lifestyle hotels differ from regular hotels in subtle ways, ways which indicate their intention to attract a Millennial audience. They might include a lobby that's a space guests would actually want to hang out in, free (and fast) WiFi connectivity, free bicycles to rent, a location in a city's "cool" neighborhood, as well as more casual dining options. If W Hotels had a teenage sibling, it would be Moxy Hotels. It's a boutique hotel and hostel hybrid, with a central focus on the communal lounge (free snacks) and bar. 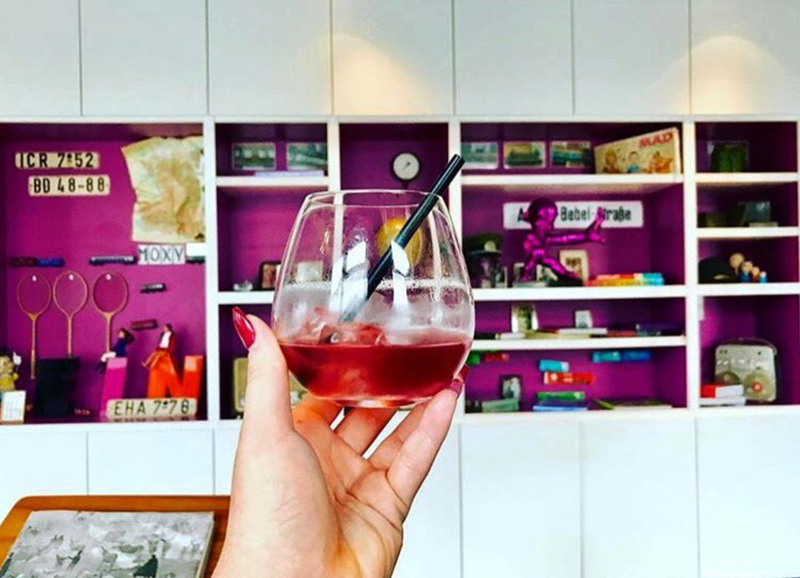 Guests are encouraged to post their experiences on social media and Moxy Hotels can be found in New York City, San Francisco, London, and Tokyo, among other cities. New openings in late 2017/early 2018 include Boston, Nashville, Seattle, and Washington, D.C. If you're traveling for work and don't want to compromise your wellness routine, you'll want to look at Even Hotels which emphasize wellness and fitness. This IHG chain of hotels features fitness studios (with classes), a space with cork flooring within the room and equipment for workouts, healthier grab-and-go dining options, and eucalyptus fiber bedding. Hyatt's Centric label launched in 2015, and as of this year, they have centrally-located properties in cities like NYC, San Francisco, Miami, and even Waikiki. The number of rooms at Centric hotels surpasses 100, which gives theses properties less of a boutique-feel. However, with amenities like Moleskin journals, Bluetooth-enabled JBL speakers, Drybar blow dryers and eco-friendly bath products, they are definitely targeting the Millenial leisure traveler. Travelers with a passion for luxury and sustainability will feel right at home at 1 Hotels. These feature hemp-blend Keetsa mattresses, local artwork, eco-friendly cleaning products and triple-filtered water. There are currently two hotels in New York (Brooklyn and Central Park) and one in South Beach, Miami with plans to expand further in 2018. Graduate Hotels are, you guessed it, boutique hotels centrally located near college campuses. Comfortable rooms feature accents from local flea markets. For more on this brand, check out The World Wanderer's post on her experience at The Graduate Oxford (where they even host to nightly live blues at the rooftop bar). Outsite is the ultimate blend of hospitality, lifestyle, and freelance work. It's a co-living and co-working space with a little bit of health and wellness (and of course, relaxation) thrown in. From Hawaii to Costa Rica to New York City, when you book a stay with Outsite, you're joining other working professionals in a hip home-stay environment.